We are providing latest information about railway jobs. This information is relevant for 12th pass, graduates, postgraduates, diploma and degree holders who are looking to get employed by Indian Railway. Indian Railways is organization with one of the largest employee base in India. It is the world's seventh largest commercial or utility employer, by number of employees, with over 1.307 million employees as of last published figures in 2013. Every year thousands of passed out candidates wait for new railway job notifications so that they can apply for the vacancy. There is huge craze among the young people to make a career in Indian Railway and its associate organizations and companies. The reasons behind such attraction towards working in railway are multiple. Some of most important ones are listed below. Indian Railway is a state owned organization. Employees come under central govt. which means job is permanent and safe. Railway provide good compensation with facilities like rent free house in railway colony for living, railway school for education of employees kids, railway hospitals for free treatment and medical assistance and many other facilities. Railway employs people having different skill sets and educational qualifications. Doesn't matter if you are an engineer, a plumber, an electrician,, an accountant, a manager, or just a normal labor, there is vacancy in railway. In fact railway also recruits trainees in apprenticeship programs where candidates zero experience are taken on job. Working in railway provide equal opportunity to all sexes - male and female to progress and reach the highest scale or post, no matter from where one initially starts his career. Railway provide security in terms of life after retirement. Retired railway employees get regular pension for lifetime. Railway has a democratic set up. Railway Employees Welfare Associations, societies, and unions provide strong support to railway workers so that they can work in a tension free environment and act as helping hand to workers. There are innumerable posts in Railway. Apart from permanent employees, Indian Railway also employ temporary workers. The organizational structure of railways has Minister of Railways at the top followed by state minister under which members of railway board works. Ministers are assigned by government of India, while the board member posts and other employee posts are held by people who have come through recruitment process. Railway Board is headed by Chairman under which Member Electrical, Member Engineering, and Member Staff comes. Picture below shows complete top level hierarchy of railway staff. While the employees at topmost position in railway are directly appointed or occupy position by meas of promotions over the years, the operating staff, trainees, managers at lower and middle management levels are recruited by means of a competitive exam, which may be followed by interview, physical and medical test, group discussion, background checking or verification of documents, and other things for appointing a right candidate, wherever appropriate. To know complete selection procedure in detail click here. The competitive examination for shortlisting candidates is conducted by a body setup for the purpose. It is known as Railway Recruitment Board (RRB). As of now there are 21 RRBs in various regions of India namely, RRB Ahmedabad, RRB Ajmer, RRB Allahabad, RRB Bangalore, RRB Bhopal, RRB Bhubaneshwar, RRB Bilaspur, RRB Chandigarh, RRB Chennai, RRB Gorakhpur, RRB Guwahati, RRB Jammu, RRB Kolkata, RRB Malda, RRB Mumbai, RRB Muzaffarpur, RRB Patna, RRB Ranchi, RRB Secunderabad, RRB Siliguri, RRB Tirvendrum. To visit there websites go to official websites of railway recruitment boards. 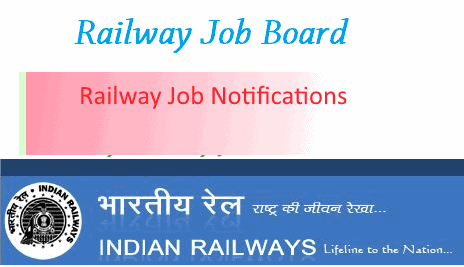 The recruitment board not only provide new employment notifications, job alerts, useful news related to vacancy in railway, but also provide downloadable application forms, proper format of certificates (that are required to be attached with application), sample papers, admit cards/ hall tickets, exam schedule and date of interview, and declare results online. Any exam related inquiry or complaint, and tracking of application status, can also be done through the websites of various Railway Recruitment Boards. Once a candidate is employed, his role in railway depends upon the post on which he is appointed. As a railway worker he is required to carry out certain tasks and take some responsibilities on duty. These are explained below. Guard - A railway guard is in charge of the train. He makes sure that trains run in compliance with applicable rules and procedures in operating manual of railway. He does more than just waving green and red flags. TTE - He is a ticket checking authority. He is mainly responsible to ensure that each and every person traveling in train has a valid ticket and identity card. If someone is found traveling without ticket he fines them as per railway rules. TTE is also responsible to ensure that each passenger is traveling comfortably in the coach which is assigned to him. If some seats are vacant, he can allot them to those looking for seats by charging appropriate reservation fee. Loco pilots - There are the men that operate locomotive or train engine. They keep in touch with guard of the train and start and stop the train on his instructions or as per the railway signal. Examination for Assistant Loco Pilot (ALP) is held almost every year. Railway Police - These are security personnel which work in RPF railway protection force. They are responsible for passenger and goods safety. They also keep vigil and catch someone seen damaging railway property. The culprit is presented to railway magistrate. Cleaners - These are responsible for keeping railway stations, offices of railway, tracks and coaches clean. Engineers - Various engineers like civil engineers, mechanical engineer, and electrical engineers and other having polytechnic, diploma, or engineering degree like B.E. and B. tech. are employed by railway board. Civil engineers participate in making bridges, railway establishments buildings, railway stations, under bridges etc. Electrical engineers look after the electrical supply and make sure proper distribution of electricity is maintained in railways manufacturing units, railway lines, and signalling system. Mainly Junior Engineers (J.E.) are recruited which become Senior Engineers (S.E.) later. Doctors, nurses, and Medical Staff - Railway also appoints doctors and para medical staff which help in providing instant relief to those met accidents and other mishaps. These doctors also held various posts in railway hospitals across the country. The guidelines of physical test for candidates is set by them. Only when they declare a candidate physically fit for the job, the selection of candidate is finalized for the job. The medical test before job is done only in railway hospitals. Others - pharmacist, chemist, teachers, law assistants, telephone operators, clerks, charted accountants, and many other can also apply for railway job. Please note that there will be second stage of written examination wherever required, except in respect of four categories namely; teachers, law assistants,telephone operators and physiotherapist for which interviews will also be held. The selection process is subject to the rules and regulations issued by the Ministry of Railways (Railway Board), Government of India which includes reservation of jobs for certain castes/communities such as Scheduled Castes (SC), Scheduled Tribes (ST), Other Backward Communities (OBC), etc. Also railway board doesn't conduct any exam for recruiting candidates in category 'D'. Even if you are a 10th pass or have a high degree like MBA, MCA or passed out from IIM or IIT, you all can find a job in Indian Railway. Just look out for notices on RRB recruitment websites. To prepare for railway exam there are various books available in market specially written and designed to meet the requirements of specific post. Almost all railway exams have written test which includes questions to check mental aptitude, general awareness, general knowledge, mathematics, and logical aptitude of a candidate. Depending on the level of railway post for which candidate appears, the difficulty level of questions asked may vary. Also questions specific to the post in question may be asked to candidates. On internet and various job boards and forums, candidates having participated before in exam share the information about type of questions that are asked in exam and also various sample papers, that can be downloaded, are available using which the candidates who are going to appear for exam in near future can prepare well. In almost all cities in India there are private tuition centers and teachers who have experience in preparing students for competitive exams also conduct classes to help students pass the written exam and interview of railway.